Shonagh Maak is back with the second part of her blog from Malaysia. Shonagh is the Internationalisation Manager at the University of Stirling. 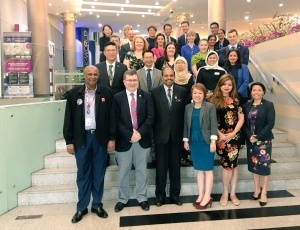 Shonagh is currently in Kuala Lumpur, Malaysia attending Going Global 2o18, the leading international education conference. 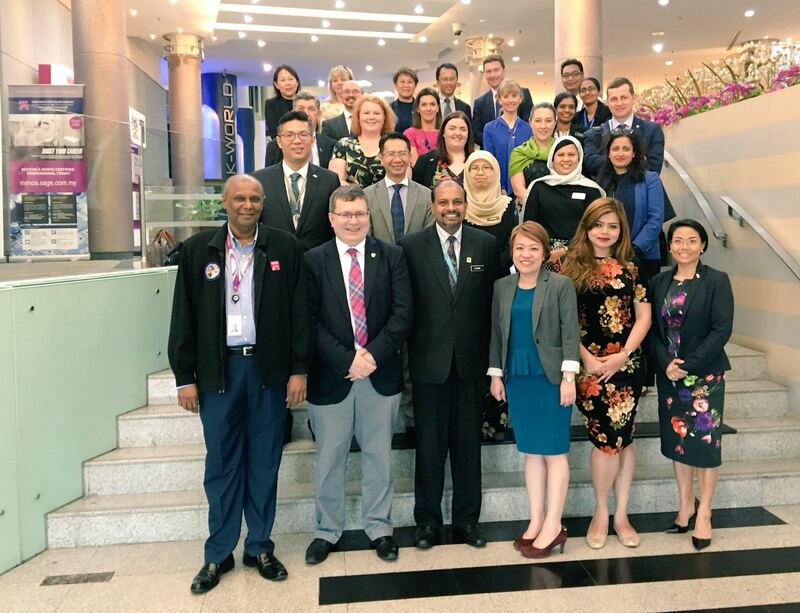 Seven Scottish higher education institutions are not only attending the conference but also meeting representatives from the Malaysian Government before moving onto Indonesia next week. Shonagh is going to try and blog for us daily whilst on the mission. You can read Shonagh’s first blog here. Jet lag means that I am awake early however it’s nice to be able to have a wander outside before our meetings start and it gets too hot. I love this part of the world but I am typically Scottish and my very pale skin tends not to be so keen on the sun! We had a full day of meetings planned and our first meeting takes place at the British High Commission where we are welcomed by H.E Vicki Treadell, Paul Rennie, Deputy High Commissioner and their colleagues. Our first session is an overview of the economic and education landscape in Malaysia which is a helpful introduction for the week ahead. This session is complimented by a more detailed overview of the education sector in Malaysia from Jennifer Wan from the British Council. Our next session is a meeting with the Human Resources Development Fund where Professor Richard A. Williams from Heriot-Watt University delivers a presentation on behalf of the group outlining the strengths of the Scottish HE sector. The purpose of this meeting is to explore potential opportunities for partnerships relating to skills development and industry engagement with a number of local training providers. It was interesting to hear about the range of training being offered to workers of all levels across a variety of sectors via HRDF and how we might be able to support such initiatives. After a traditional Malaysian meal of Nasi Lemak (a delicious combination of chicken, rice, peanuts, anchovies, cucumber and a spicy sauce, we head on to our next meeting which is with the Ministry of Science, Technology and Innovation (MOSTI). The purpose of this meeting was for the Malaysian Government to highlight MOSTI’s priority areas in research, development and commercialisation and for the Scottish HEIs to showcase our areas of aligned expertise and to explore partnerships and collaborations. Much of the discussions were centred on Big Data, Analytics, Robotics and Artificial Intelligence. I found it especially interesting to learn more about how these technologies impact on all aspects of life and learn more about research here in Malaysia but also at the other Scottish universities. We leave MOSTI around 5pm and the group all seem enthusiastic about the potential opportunities arising from the discussions. That evening, we continue our discussions from this morning over dinner with colleagues from the British High Commission, British Council and DiT. Malaysian hospitality is always really warm and welcoming and tonight is no exception. We are treated to a display of traditional Malaysian music and dancing which was a fantastic end to our first full day here in KL.